Calonne-sur-la-Lys is a village 38 kilometres north-north-west of Arras and 11 kilometres north of Bethune on the D180. 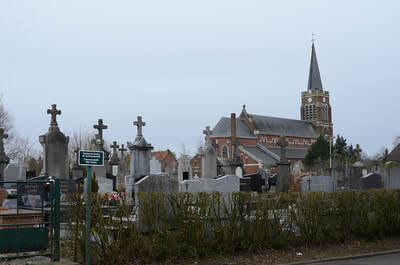 The Communal Cemetery surrounds the church which is in the middle of the village. 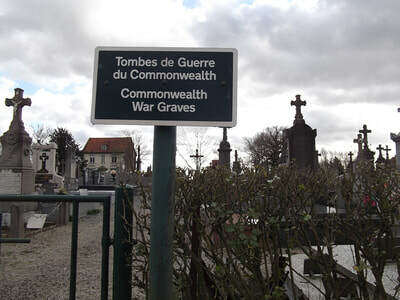 The Commonwealth war graves are in four plots: one containing 7 burials from the Second World War, one containing 13 burials from the Second World War, one containing a single burial from the First World War, and finally a plot containing 3 burials from the Second World War and 1 burial from the First World War. During the withdrawal of the British Expeditionary Force to Dunkirk in May 1940, there was heavy fighting in the area around Calonne-sur-la-Lys, and most of the inhabitants left the area. 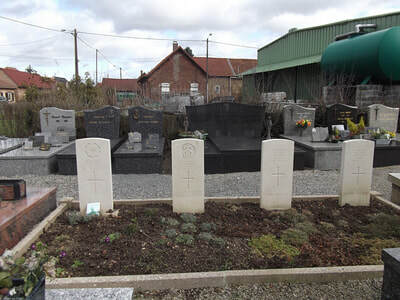 The school was used by the Germans as an aid post, and British soldiers who died at Calonne, either in battle or of wounds while prisoners, were buried by the Germans in the field behind the school. 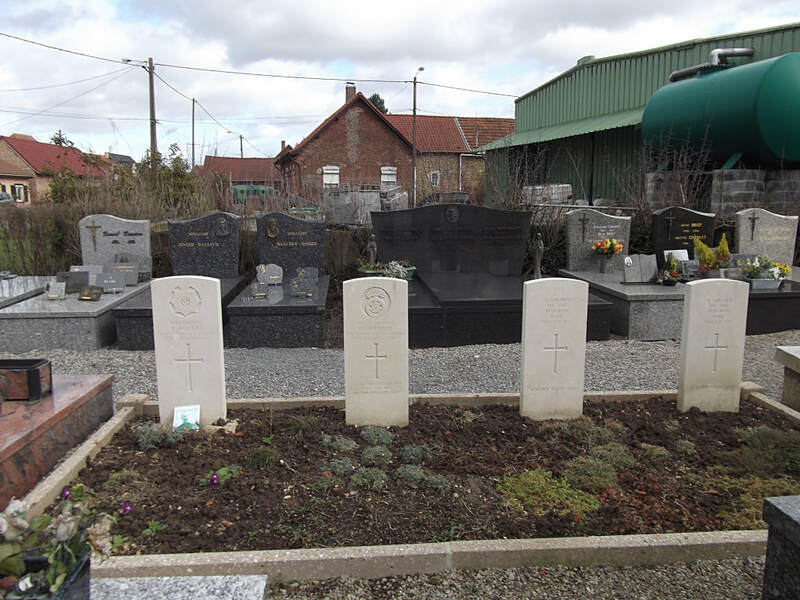 In 1942 the local people moved these graves into the communal cemetery, but in the meantime the rough grave markers had in many instances become illegible. 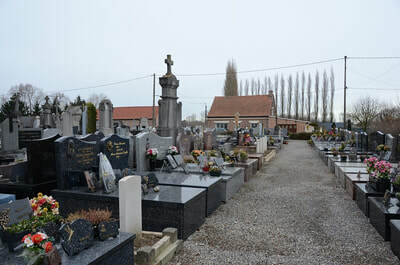 The identity discs and personal possessions had mostly been removed before burial, so that in 1942 few of the dead could be identified. The communal cemetery now contains 23 Commonwealth burials of the Second World War, 14 of which are unidentified. 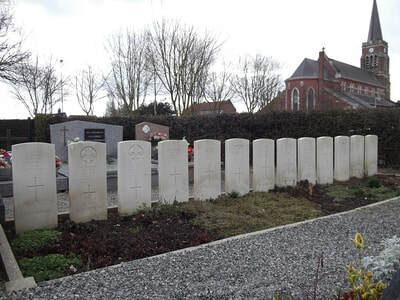 There are also two burials from the First World War. Captain Reginald Chamberlain Doidge, 17th Bn. Lancashire Fusiliers, died 2nd March 1916, aged 26. 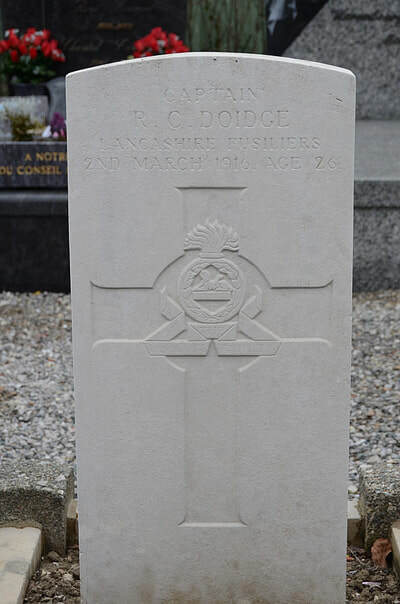 Husband of Clara Doidge, of 96, Derby Rd., Loughborough. 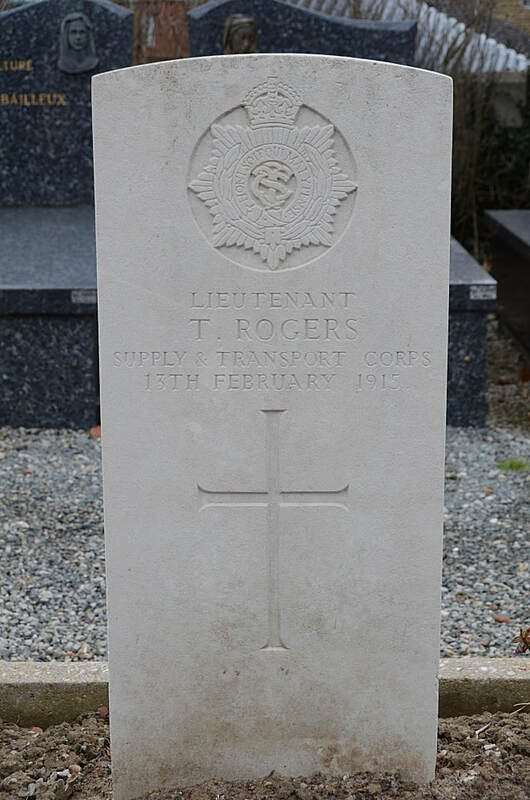 Lieutenant Thomas Rogers, Supply and Transport Corps, died 13th February 1915. 1430715 Warrant Officer Stanley Barnes, Pilot in 198 Squadron, Royal Air Force Volunteer Reserve, died 2nd October 1944, aged 22. 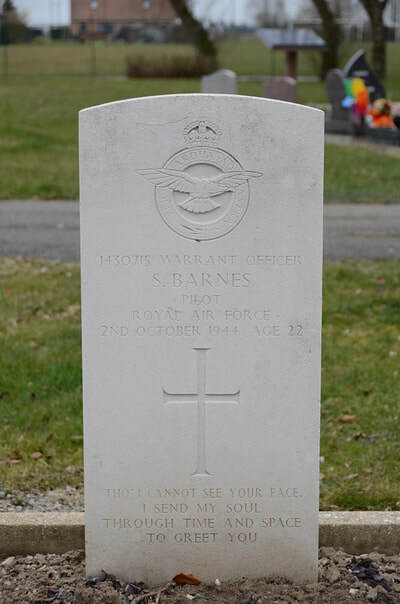 Son of Mr. and Mrs. N. Barnes; husband of Norah C. Barnes, of Ellough, Suffolk. 813905 Fusilier Thomas Buckley, 1st Bn. Royal Welsh Fusiliers, died between 25th May 1940 and 27th May 1940, aged 27. 4274676 Lance Corporal John M. Durston, 6th Bn. Argyll and Sutherland Highlanders, died 27th May 1940, aged 21. 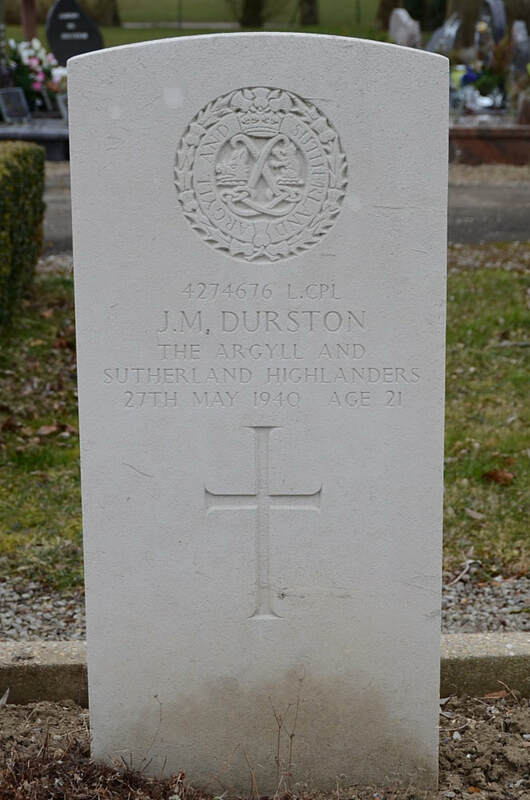 Son of John and Dorothy Mary Durston, of Newcastle-on-Tyne. 3053470 Private James Smith Gay, 1st Bn. 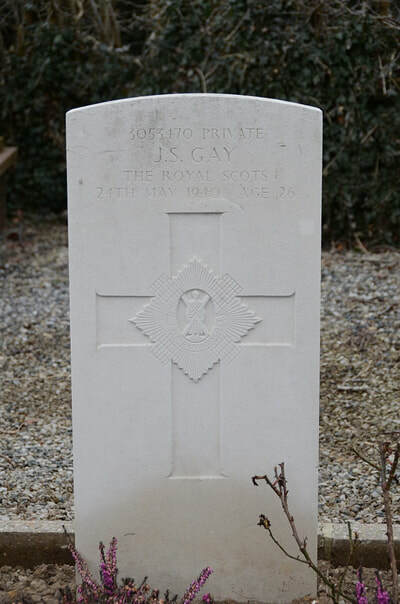 Royal Scots, died 24th May 1940, aged 26. 4188082 Serjeant David Griffiths, 1st Bn. 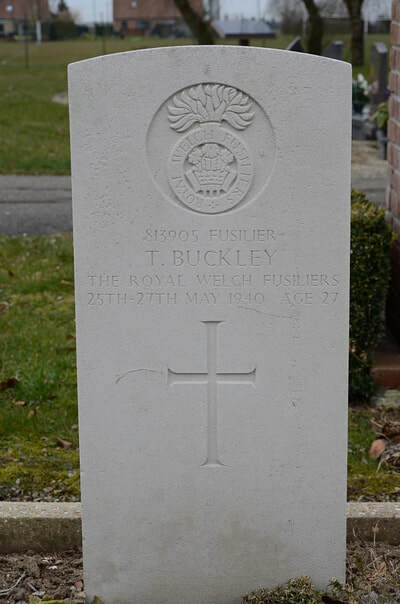 Royal Welch Fusiliers, died 29th May 1940, aged 27. 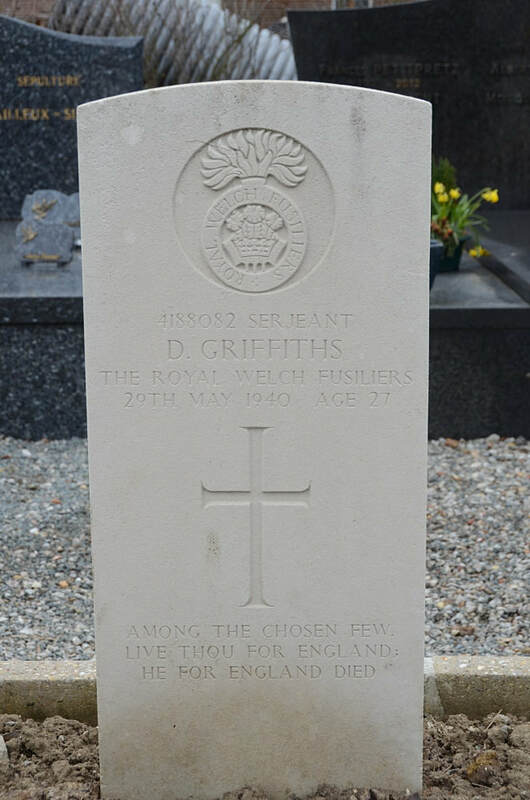 Son of William and Elizabeth Griffiths; husband of Mary Elizabeth Griffiths, of Wrexham, Denbighshire. 4196969 Fusilier Edward Humphreys, 1st Bn. 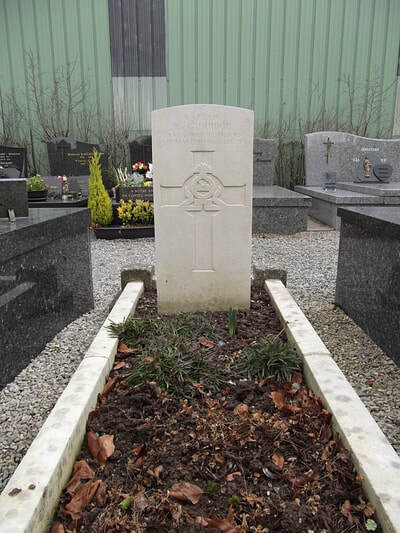 Royal Welch Fusiliers, died 28th May 1940, aged 21. 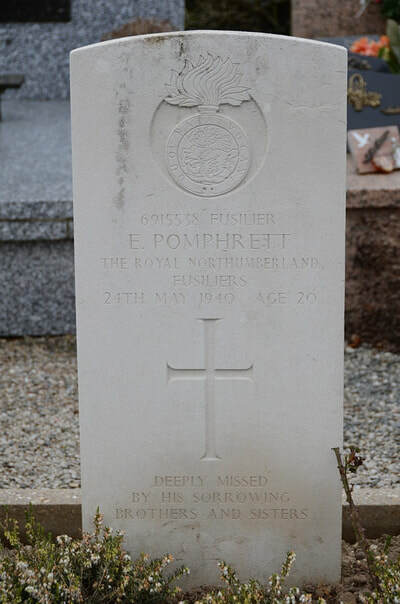 6915538 Fusilier Edward Pomphrett, 8th Bn. 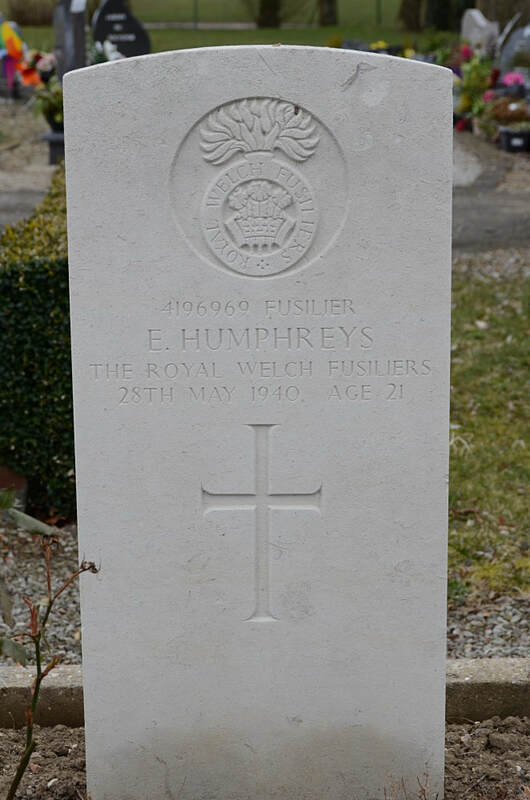 Royal Northumberland Fusiliers, died 24th May 1940, aged 20. Son of Frederick George and Elizabeth Pomphrett, of Bethnal Green, London. 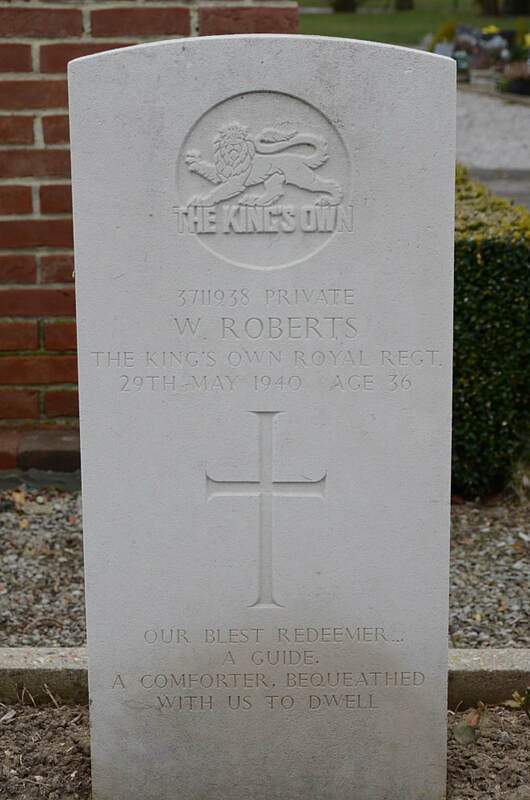 3711938 Private Wilfred Roberts, 6th Bn. King's Own Royal Regiment (Lancaster), died 29th May 1940, aged 36. Son of Hubert and Harriot Roberts; husband of Violet Roberts, of Lancaster. 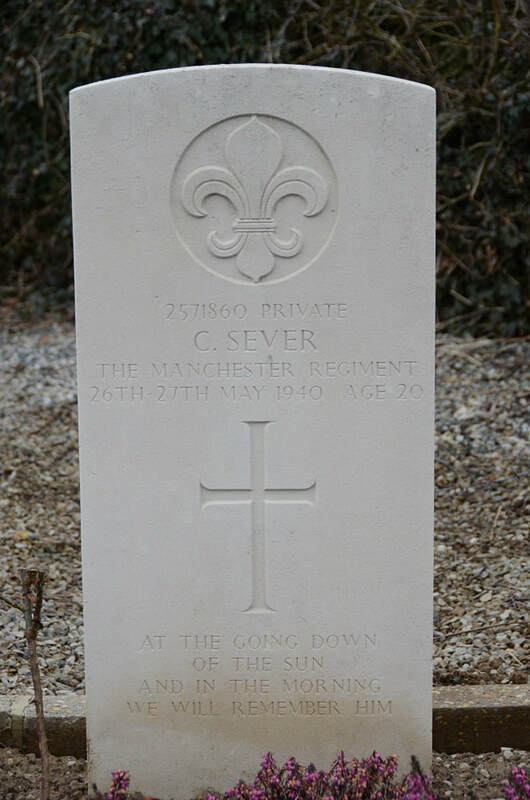 2571860 Private Cyril Sever, 2nd Bn. 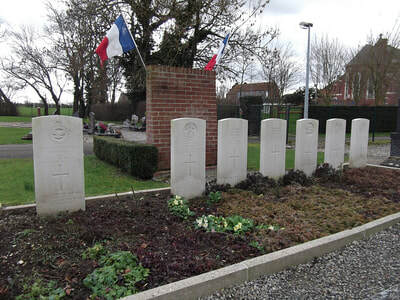 Manchester Regiment, died between 26th May 1940 and 27th May 1940, aged 20. Son of Albert Edward and Liza Sever.